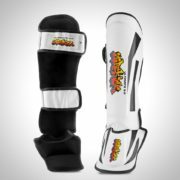 These shin guards give a great comfortable fit and fully secured with two rear velcro straps and an under foot support to prevent any unnecessary slipping. 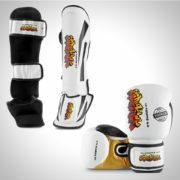 You also do not have to worry your child is kicking lightly, these shin guards have a thick layer of absorbing padding so no strike will be felt to the shins. We have been specialising in child’s safety for many years so you can buy with confidence. 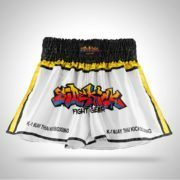 Ideal for both kickboxing and Muay Thai. 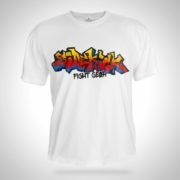 For ages 7-12 years.